São Vicente is a wild and uncrowded place, and it will give you the flavour of the true, authentic Cape Verde. December until June is the best kite season as the wind blow consistently almost daily. 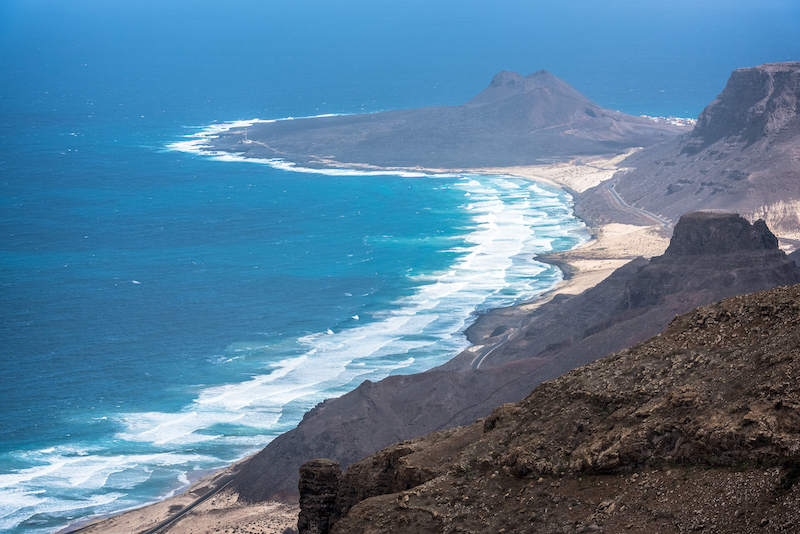 If you're into wave riding, then Cape Verde is the place for you! In one bay, you can choose, cross- shore, cross-onshore and cross-offshore conditions with waves from of all sizes as well as even a small flat water area. For absolute beginners, Sao Vicente offers excellent conditions for the first lessons. However, as is the case with all Cape Verde islands, the presence of waves make it less than ideal for the moment to learn the water-start (getting on the board). The trade winds in São Vicente blow steadily and usually over 25 knots. Between July and November, the weather is sultry and from December to June the dry heat kicks in. During the colder season, the average temperature fluctuates between 18° and 23°. In the peak of summer, the hottest it gets is between 22° up to 35°. The water temperature in winter time can drop to about 22°, while during the summer it is between 26°-27°. The wind predominantly blows NNE, and at most of the spots in São Vicente, there are rarely any wind obstructions. The most popular mode of public transport in Cape Verde is the “collectivos”, which are vans that are converted into a collective taxi. The cost of "collectivos" is around 100 CVE/km while a private taxi can cost you 1.000 CVE/km. Taxis are ten times more expensive so make sure you agree with the driver on a price before you start your journey. To rent a car will cost you about 60€/day, which is a lot. Buses are not always available, and sometimes you'll end up waiting up to a couple of hours by the time you can find one in Salamansa. São Vicente is an island so you will find some nice restaurant where you can eat incredible fresh fish, and that’s the best meals you can get. Otherwise, chicken, rice, sandwiches are all easy to find. You can find good beer and great wine from Fogo Island around here as well; the wine is tasty but it pretty expensive for Cape Verde. While you are here, you need to try a standard Cape Verde drink called “Ponche de Mel” (which is a mixture of brandy, honey, lemon, and cinnamon) and that you can drink after your meal. The nightlife is in Mindelo, the central city of the island. It’s also known as the cultural capital of the country. Here you can find some cool bars and have a good night out. During the Carnival, it’s even crazier (mid-February) and a great experience. On no wind days, there are a few options of things to do. You can go fishing; there are some fishing charters, but as that's a whole day spent out at sea, it's a little pricey and can cost about 900€/for the day. Trekking is also very popular around here, and there are some nice paths around São Vicente. One of the most beautiful treks are in Santo Antao Island but that less than an hour away by boat. If you'd rather spend the day in the water - then go surfing! Most hotels have wifi, but it can be harder to find a good connection in Salamansa because it’s quite primitive. The best option, same as in most places, it just to pick up a local Cape Verdian SIM card while you are here. It’s possible to speak with the kite schools and check what accommodation they recommend in Salamansa. Otherwise, you should check out Mindelo, and there are loads of different options there. The Terra Lodge is the best hotel in the city with a fantastic view, but it's a little expensive. You can also check out the guesthouses in Vanilla Residencial. Nicolò is an adventure and travel photographer from Rome, Italy. He loves to travel, get into all kind of adventure and tell stories with his pictures, exactly like this. Simone is a kitesurfing instructor from Rome based in France (montpellier) and he always looking for the best kitesurf spots around the world matching his work with his passion for travel. Been to São Vicente? What did you think? 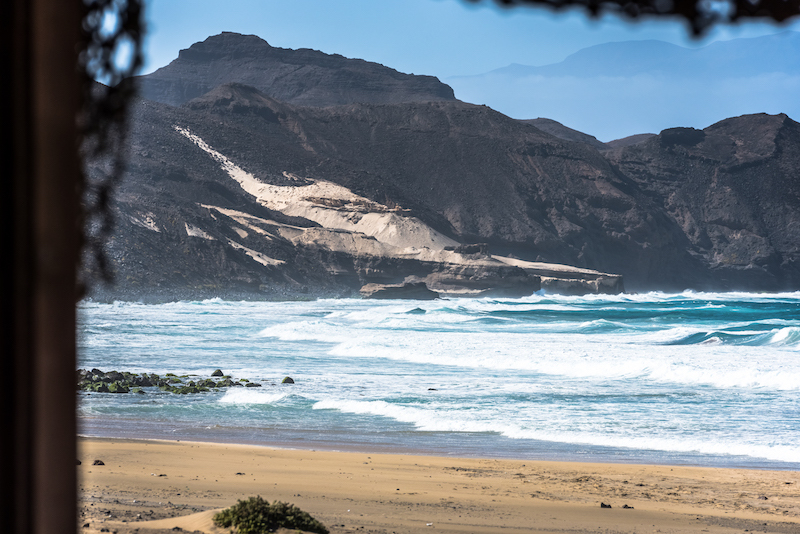 Where are the Best Kitesurfing Beaches in São Vicente? Salamansa is a wave riding spot and one of the most popular ones. Just in front of the main beach, the spot isn’t so good cause the wave breaks quite fast and the wind blows almost on shore. Go to the east-side to get the best waves, trust me! Freestyle and freeride aren’t the best disciplines here due to the wave and choppy water. But you can enjoy some big jump thanks to the waves that create excellent kickers, but please watch out the distance to the shore as the wind is on shore. Waves: in front of the beach. The best is further on the right. Although very small, Baia das Gatas is the only permanent flat water, knee-to-waist deep spot on the Cape Verde islands and is not far from Salamansa; it’s a natural swimming pool. The spot’s tiny, two kites are going to be enough to fill up the pool. Praia Grande is a wave spot for advanced kiters, and most of the spots around there are not easy to reach, the best and easiest way to get there is to either rent a car or ask to a taxi to come back and pick you up. Located 1.5 km northwest of the village Calhau, the beach is next to volcanic rocks of nearby Monte Calhau. 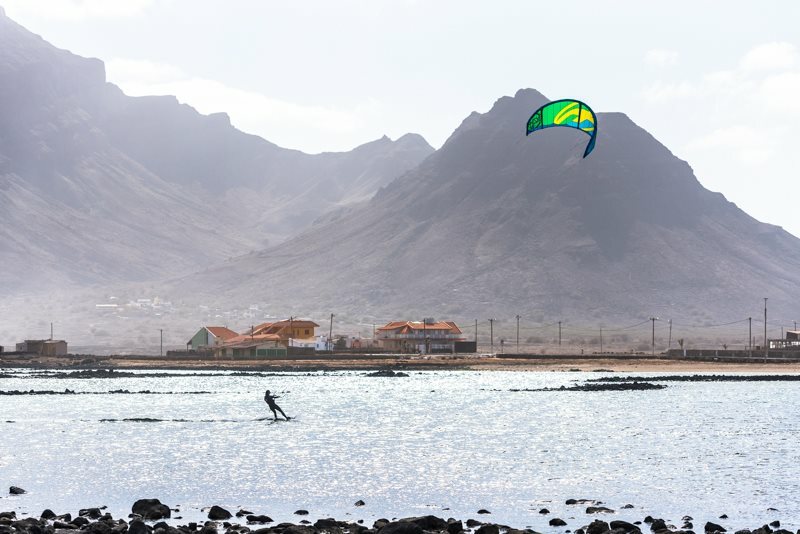 When is the Best Time to go Kitesurfing in São Vicente?